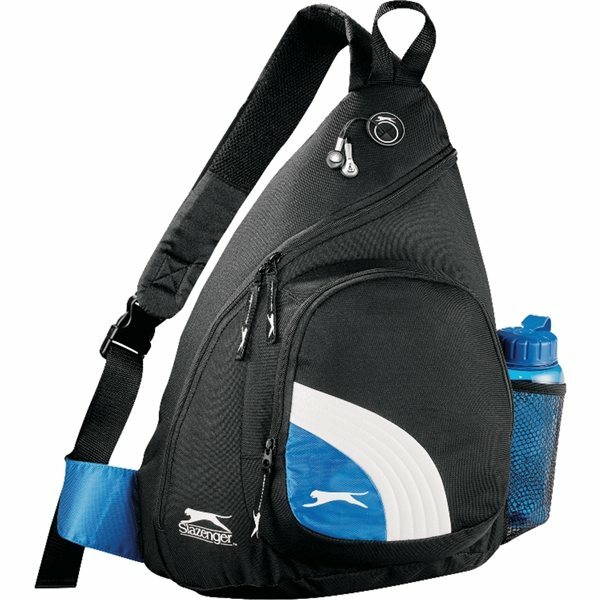 The Slazenger™ Sport Deluxe Sling Backpack features a zippered main compartment with a media pocket and an earbud port. There is also a front zippered pocket with an accessory pockets inside, as well as a side mesh water bottle pocket and an adjustable sling strap. Features signature Slazenger hardware and logo. I think the cost is great for the quality of this item. It was a pleasant experience because of Camille. Thank you! It was unbelievably easy. For the price this item is a great value.